illuminated,backlit keypad results in fewer customer errors. Car Charger: Power your terminal or charge your battery as needed. Sleek ,ergonomic design occupies minimal counter space and provides easy handling. 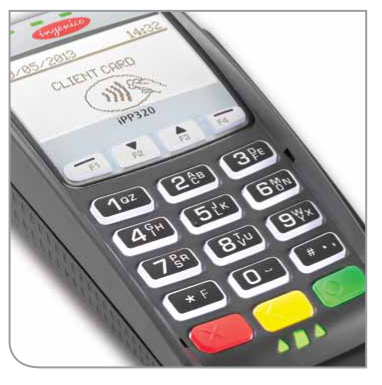 Contactless capabilities provide customers a convenient way to pay with chip cards,key fobs or mobile wallets. Ready for the future of EMV chip card technology.